On September 6th the Town of Halifax hosted the “Flotsam Flotilla,” an all volunteer effort to clean up the Banister River, Banister Lake, and the surrounding shoreline. 30 volunteers spent the day collecting trash and hauling it away. 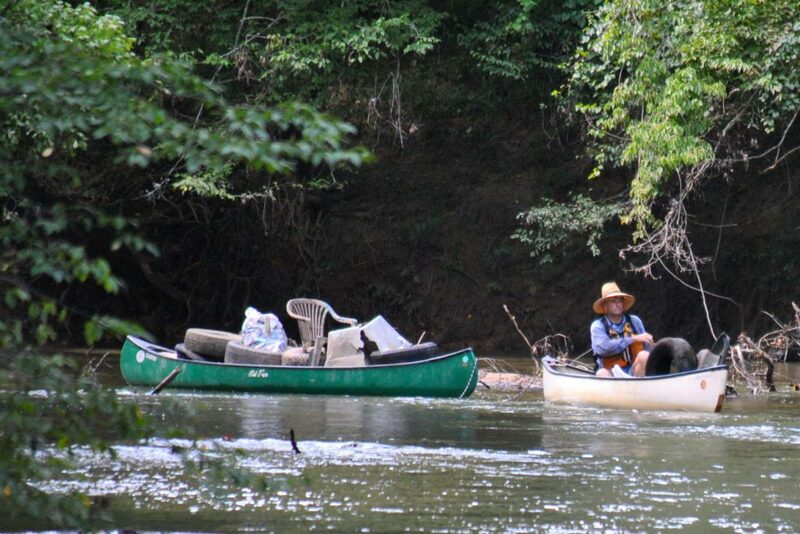 The group removed 25 tires, 4 chairs, and over 22 bags of debris from the waterways. The event was a huge success, and the volunteers were stopped by local fisherman and thanked profusely for their efforts to make the area more enjoyable for everyone.